Evo e Liquid is primed to follow in the footsteps of its sister brands Halo and Purity with a bold array of flavors that put an exciting spin on common flavor profiles such as caramel, kiwi, and apple. These e-juices benefit from a commitment by parent company Nicopure Labs to deliver the purest blends on the market. 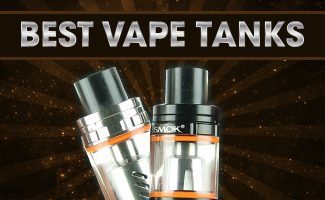 A review of three new High VG flavors from Evo. 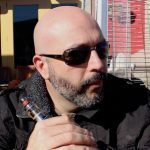 Nicopure Labs was founded in 2009 by Jason Del Giudice, Jeffrey Stamler, and Ken Stamler with a lofty goal: produce the purest and best-tasting e-liquid in the world. That humble three-man operation has now grown into a global parent company which owns the Halo, eVo, and Purity e-liquid brands and is headquartered in a beautiful 110,000 square foot production facility. From these Florida headquarters, Nicopure Labs continues to refine and improve their original e-liquid blends in an ongoing quest for perfection. 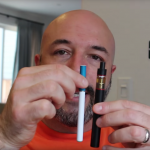 Nicopure Labs made global headlines by being the first company to file a lawsuit against the FDA which challenges the FDA’s deeming regulations for e-cigarettes. Oral arguments for the lawsuit began in October 2016. Nicopure Labs has been a tireless advocate for the vaping industry as a whole throughout its existence. Evo e Liquid is a gourmet eJuice brand known for its superior quality and the strictest safety standards. Click "Reveal" and use our coupon to take 5% off your next order. The eVo E-Juice line is an exciting imprint from Nicopure Labs which features flavors such as Wild Watermelon, Backwoods Blueberry, and Insomnia. 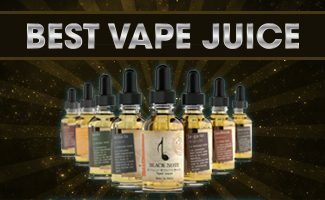 The e-juices in this line are grouped into categories which include dessert, fruit, and menthol/mint flavors. Each Evo eJuice has a detailed flavor description on each package. It also includes a batch number and “Best by” date. These e-liquids are the product of flavor artists with skills that aren’t too far removed from those of a trained chef. They spend many months in crafting unique recipes and then subject each recipe to multiple tests in order to ensure it meets the high standards of the brand. An impressive virtue of eVo e-liquids is their suitability to sub ohm vaping. The consistency of these e-juices is just right for sub tanks. 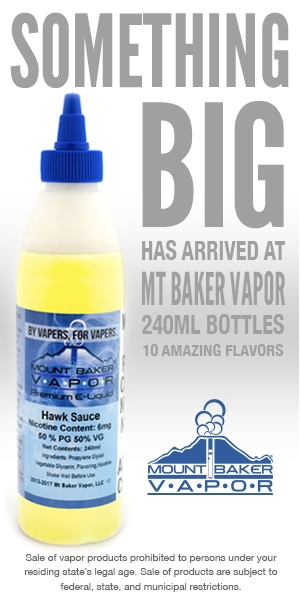 All varieties produce great vapor volume and the flavor is bold without being overpowering. If you’re into cloud chasing, eVo e-liquids are right up your alley. The varieties come in 10 ml and 30 ml bottles with available nicotine consistencies of 0, 3, 6, 12, 18, and 24 mg.
Chalk up the great favor of eVo e-juices to a complex and patient steeping process that allows each individual flavor note to blend perfectly. This helps the mix of flavor profiles in each variety to retain their distinction instead of becoming lost in the overall presentation. With Evo Fuzzy Summer e-liquid, you can make the sun shine in the dark. The Evo Fuzzy summer e- liquid includes citrus-packed peaches, topped off with a swirl of cream smoothness. You also get a hint of mango, which gives it that tropical taste. On the exhale I can taste a flavor similar to Grape Fanta, which quickly follows with a taste reminiscent of Twizzlers. I don’t know if it exists, but try to imagine a grape or black cherry Twizzler and that is the taste I sense. It ends with a cool mint finish. It’s not a strong menthol, though. Think of it as a fresh cool breeze. This juice has a strong Hawaiian punch aroma with a hint of Kiwi. As you vape it, the flavors of grapefruit and lemonade come to mind. The first flavor you sense is a strong cinnamon which is quickly followed with pumpkin pie. This is a great dessert juice, and perfect for the winter festivities. Insomnia is a godsend for grape fanatics. True to its name, Insomnia also provides an energy boost. This is a good flavor for when you want to have your vape and keep on partying at full throttle. Although this is a highly popular flavor, it wasn’t one of my favorites. It tastes a lot like Red Bull to me and I can only handle that taste with vodka! Nicopure Labs and all of its imprints, including eVo, insist on the highest levels of purity in their products. This is evidenced by the fact that each and every e-liquid from this brand is Diacetyl and Acetyl Propionyl-free. Premium raw ingredients are sourced from the best suppliers, and the e-juices are made and bottled in the USA in the brand’s specially-designed clean rooms which meet all the current safety standards of the industry. Evo e Liquid’s superior quality is also reflected in their exceptional dropper. 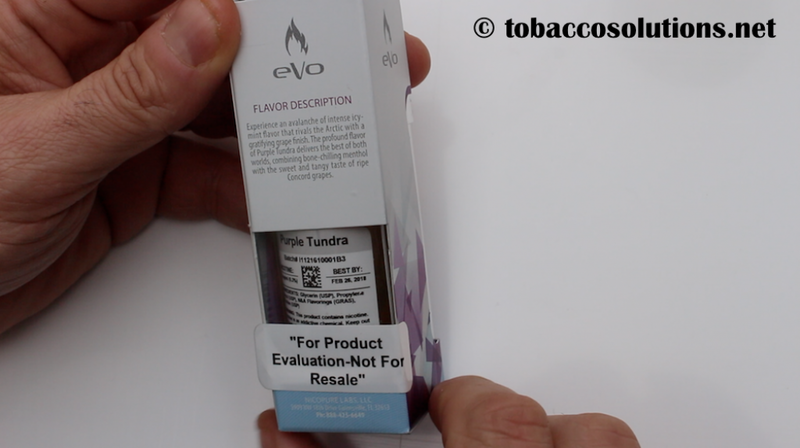 eVo also subjects each flavor to independent testing by a third-party lab. This speaks highly of the brand’s commitment to transparency where its raw ingredients are concerned. The company is also socially responsible, packaging all of their flavors in child-resistant, tamper-evident bottles. 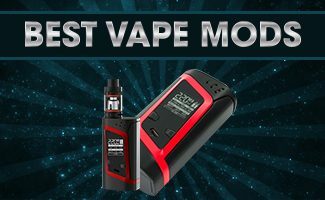 There are so many designer e-liquids on the market today that it is pretty rare to come across a new blend which actually delivers on its promise of originality. eVo e-juices are distinct, smooth, and a perfect change of pace if your palette has become bored with the standard fare. Evo e Liquid is a gourmet eJuice brand known for its superior quality and the strictest safety standards. Not only are their flavors exceptional, but their eJuice droppers are second to none.